The WTR Solutions Fine Bubble Diffusion Technology Aerator Model 12 is sized for large animal confinement operations, municipal sewage processing plants and large industrial applications. 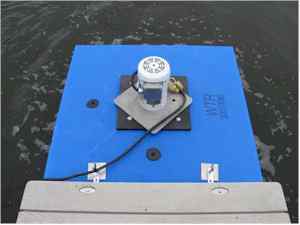 This unit has a floatation platform available as an option. 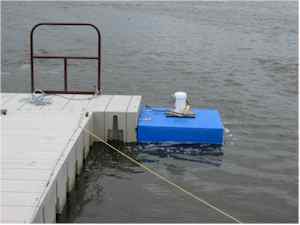 WTR Solutions makes available, as an option, a custom aerator float and modular docking system for installation in lagoons.